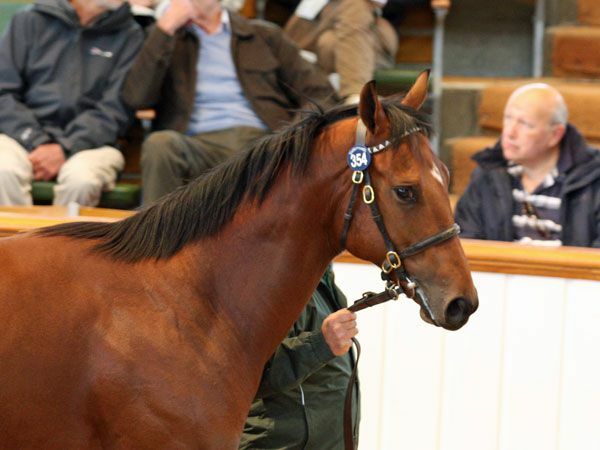 The Tattersalls October Yearling Sale Book 1 concluded with 105 lots selling on the final day for a total of 19,108,000 guineas at an average of 181,981 guineas and a median of 120,000 guineas, rises of 26% and 41% respectively. 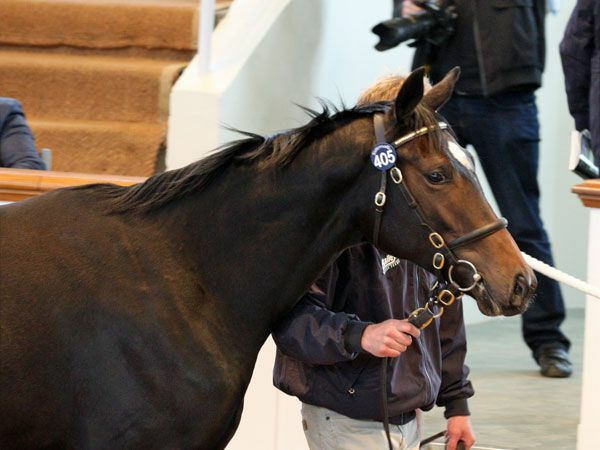 The three day sale saw a total of 339 lots sold for 70,343,000 guineas, a new record turnover for the sale and 3% higher than last year’s total despite an 12% fewer lots being offered. The turnover also represents a record for a European auction. The average for the three days rose 27% to 207,501 guineas whilst the median rose 30% to 130,000 guineas, both new records for the sale. The top price on the final day of the October Yearling Sale was 850,000 guineas for the OASIS DREAM colt out of the multiple Group 1 winning mare DAR RE MI from Lord & Lady Lloyd-Webber’s Watership Down Stud. Badgers Bloodstock’s Grant Pritchard-Gordon, Blandford Bloodstock’s Tom Goff and underbidder Angus Gold all made bold bids for the colt, but the trio were usurped by agent Charlie Gordon-Watson. "He's got a stallion's pedigree through and through, it's the best pedigree in the book, he's a special horse," said Gordon-Watson after making his purchase of the colt who hails from a family of 21 Group 1 winners. "He's for a relatively new client, and I don't know where he'll be trained - hopefully, he'll stay in the UK," he added. It is a family Gordon-Watson knows well having bought the second dam DARARA for Watership Down. She subsequently produced four Group 1 winners, including DAR RE MI, the winner of three Group 1 races. The second top price for the day was 775,000 guineas for the GALILEO filly out of the INCHINOR mare FRAPPE consigned from Hugo Lascelles’ Lofts Hall Stud. The half-sister to the Irish 2,000 Guineas winner POWER and the Group 2 Ribblesdale Stakes winner THAKAFAAT was knocked down to Coolmore’s MV Magnier after he saw off the efforts of the Niarchos Family’s Racing Manager Alan Cooper and Form Bloodstock’s Jehan Malherbe. The filly hails from one of the great families from Anthony Oppenheimer’s Hascombe & Valiant Stud that includes the 2,000 Guineas winner FOOTSTEPSINTHESAND and the Phoenix Stakes winner PEDRO THE GREAT. One of the new names on the buyers sheets at Tattersalls this week has been the China Horse Club who bought a total of five yearlings, four in partnership with Coolmore Stud. 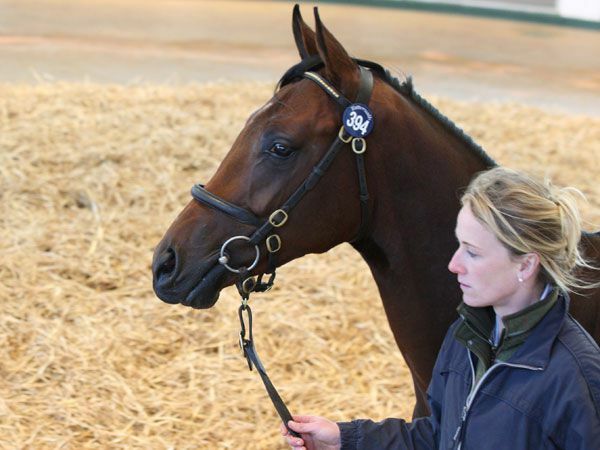 Buying through their Bloodstock advisor John Warren, the group went to 650,000 guineas to secure the MONTJEU colt out of the WOODMAN mare FIRST BREEZE. Consigned by Ciaran ‘Flash’ Conroy’s Glenvale Stud, the colt was knocked down to Warren after he saw off a determined effort from Turkish owner Ibrahim Araci. The China Horse Club’s Eden Harrington explained: "We are a racing and breeding club based in Hohhot, an hour from Beijing. We have horses in France, Australia, Singapore and the US. We are expanding into Ireland and the UK. "We are step by step building the industry in China and had our first major international race meeting in September in association with the China Equine Cultural Fair. We are completely developing our site as well as the infrastructure and have partnered with Coolmore. We have fantastic relationship with Coolmore and John Magnier completely redefined this industry and we are in a wonderful position to take advantage of that vision." The leading consignor for the sale was the Jacobs family’s Newsells Park Stud who sold 16 lots for a total of 7,215,000 guineas who finished ahead of Highclere Stud who sold 27 lots 6,737,000 guineas. The leading purchaser by turnover for the week was Sheikh Mohammed’s bloodstock advisor John Ferguson who signed for 42 yearlings for a total of 10,450,000 guineas finishing narrowly ahead of Sheikh Joaan’s Al Shaqab Racing who bought 16 lots for 10,260,000 guineas. The undisputed leading sire was GALILEO whose 30 sold yearlings realised a total of 18,120,000 guineas at an average of 604,000 guineas. "To have broken the European record price for a yearling twice in two days and to have established a new world record for a yearling filly is a measure of the outstanding quality of the yearlings assembled for Book 1 of the 2013 Tattersalls October Yearling Sale. Our consignors yet again have brought yearlings of the highest calibre to Park Paddocks and for the third consecutive year, the average and median prices have reached new highs and the turnover has also bettered last year's record despite a significantly smaller catalogue. "The 5 million guineas world record breaking filly out of ALLURING PARK and the 3.6 million guineas colt out of SHASTYE were the obvious highlights of the three days. Two truly outstanding yearlings both by the peerless GALILEO and both consigned from top farms, these two individuals will live in the memory for a very long time. Both yearlings paid enormous tributes to their breeders, Lodge Park Stud and Newsells Park Stud respectively, and we are enormously grateful for their support and for all the vendors from Britain, Ireland and further afield who make Book 1 of the October Yearling Sale the premier yearling sale in Europe. "The bloodstock industry, like all others, has endured challenging times in recent years, but it has also shown remarkable resilience and the intense competition at the top of the market has demonstrated the enduring global demand for quality bloodstock. We have welcomed buyers this week from the established markets of Australia, Hong Kong, Kuwait, Japan, North America, South Africa, Turkey and the UAE, all of whom have made major contributions, and we have also been encouraged by the level of participation from emerging markets. Chinese and Russian interests have made a significant contribution to the success of the sale and the already considerable Qatari influence has been remarkable. It is wonderful to see relatively new participants embracing the sport with such enthusiasm and it has been a pleasure to see them, and so many of the world's leading racehorse owners here at Tattersalls throughout the sale. "We now turn our attention to Books 2 and 3 of the Tattersalls October Yearling Sale starting on Monday and we look forward to sustaining the momentum from this week's successful sale." The Tattersalls October Yearling Sale continues next week with Book 2 starting on Monday, October 14.